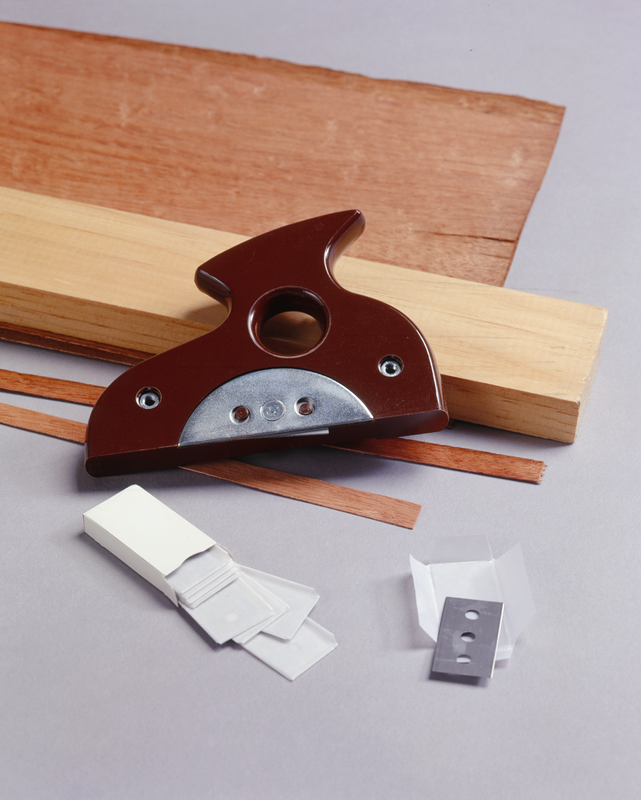 This handy veneer cutter and trimmer is excellent for small quantity veneer seaming. The low angle knife blade cuts a clean, tear free line for a tight joint. Attach the removable fence and this tool becomes a trimmer for trimming overhanging veneer flush with the panel after its pressed. Each blade has 4 cutting edges for long use and the Veneer Cutter comes with 10 blades.